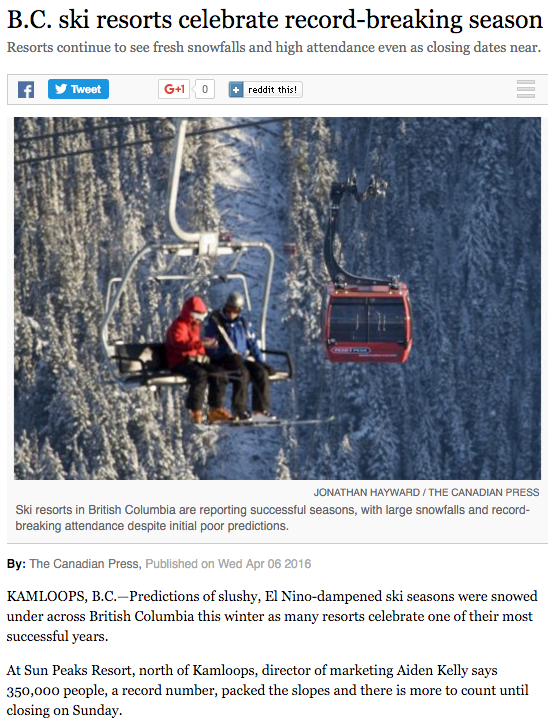 Ten years ago, British Columbia skiing was declared to be doomed. They are having a record breaking ski season this year – NASA’s hottest year ……. ever. 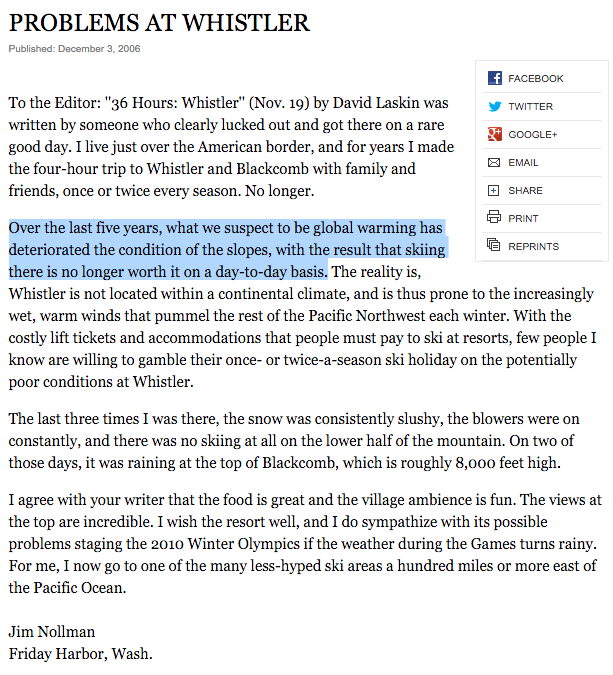 Yes; BC had an excellent ski season despite having a very strong El Niño. though tempuratures in the valleys were warmer then usual at elevation the tempuratures were relatively cold unlike the last El Niño during the Olympics. Never heard any comments about what appears to be a contradiction; a strong El Niño with lots of snow on the mountains. “Nothing besides a national policy shift on how we create and consume energy will keep our mountains white in the winter — and slow global warming to a safe level. So there. This is a scientific fact. And as you were told more than once, it’s unpatriotic to say otherwise. This creepy Pee Wee Herman look alike is an obvious alarmist shill. Like all the other climate change liars out there,, he cannot be trusted. 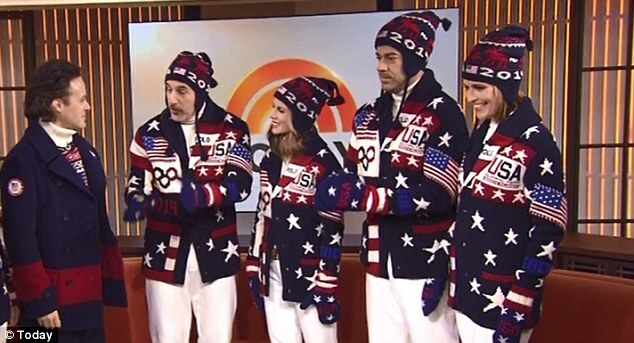 The alarmists won’t be happy until the Winter Olympics are hosted by Miami, and in the month of July. I don’t know. 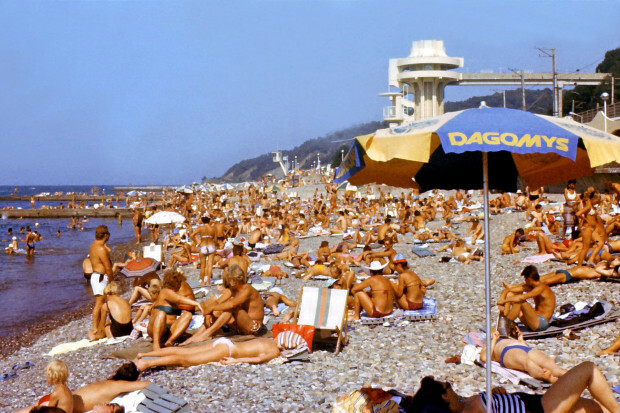 Sochi was a ringer. It will be hard to beat but I’m sure they’ll keep trying. 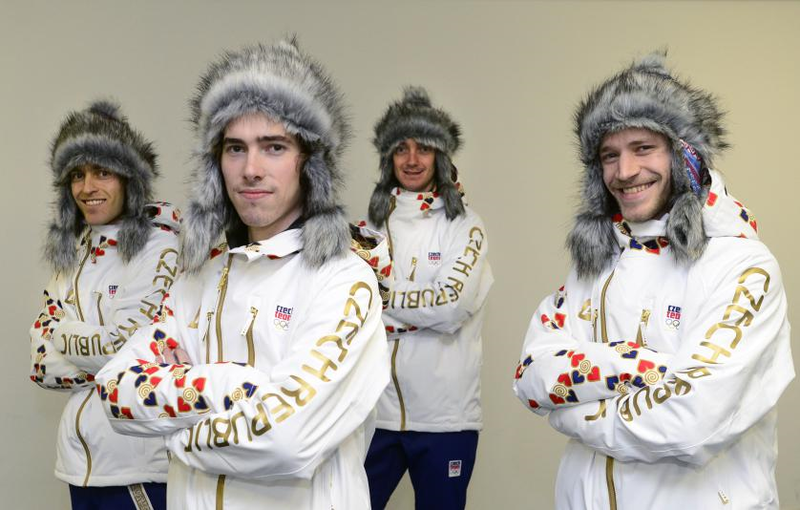 It seems that some national teams didn’t understand where Sochi is. 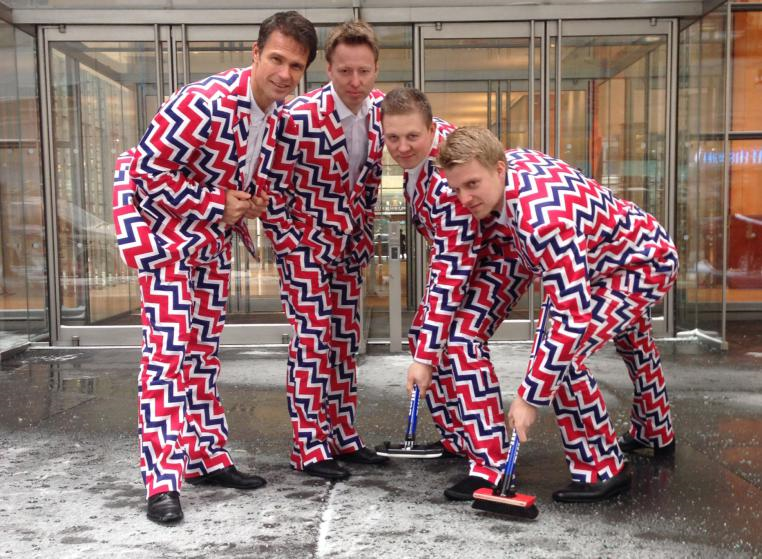 The Norwegians got closer with their pajamas but only Team Ukraine got it right. They’ll be in Al Gore’s next scientific movie, Slide #2.